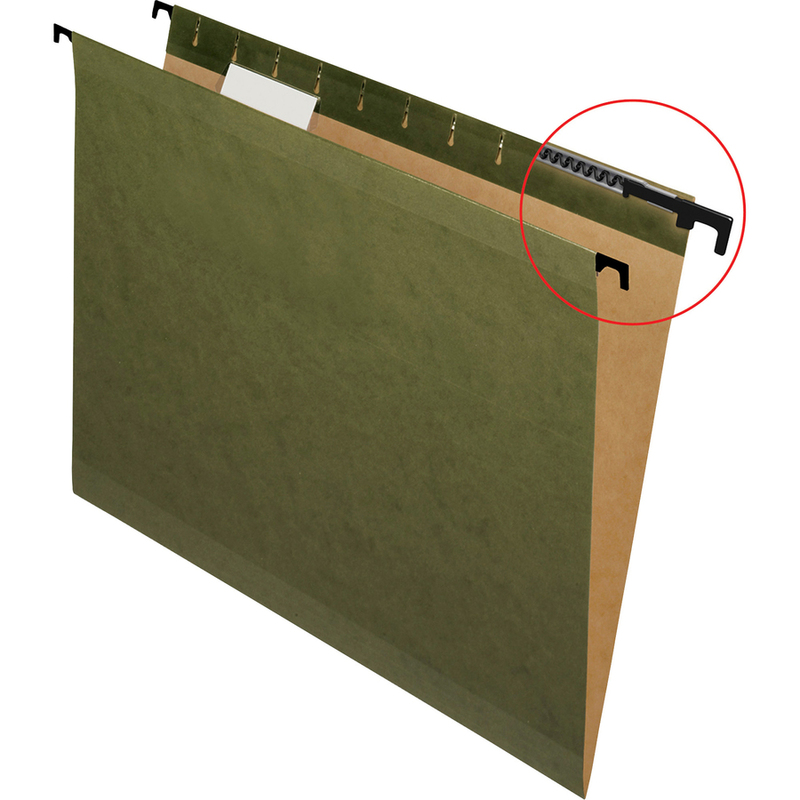 Hanging file folders feature SureHook technology with longer plastic hooks and revolutionary, built-in tension springs so the rods bend less. Folders stay on rails and slide with ease. Reinforced polylaminated top and bottoms offer ultimate durability. Rods and hooks are strong and sturdy. Lighter interior prevents misfiles. Folders work with existing filing systems and hold letter-size documents. 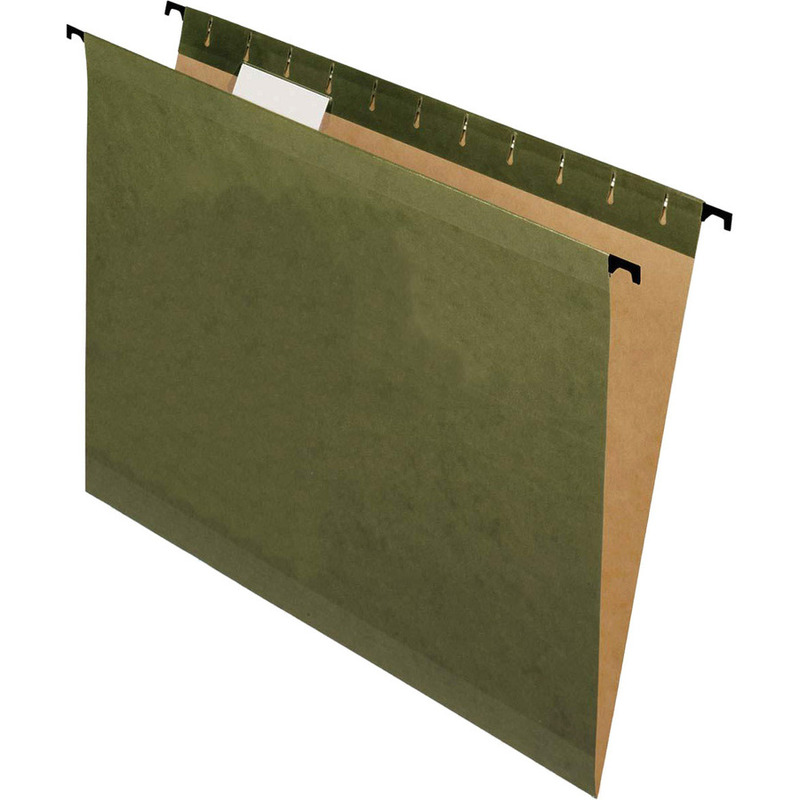 Acid-free, hanging file folders include clear, 1/5-cut tabs and printer-ready inserts.